We joined a tour heading over the border from San Ignacio, Belize, to Tikal in Guatemala. We waved goodbye to English-speaking Belize as we crossed back into Spanish territory – back to our pidgin efforts! We are slowly learning new phrases, although locals regularly appear to be sharing jokes we can´t understand. I find the best response is to laugh along! Tikal is a large Mayan ruin located deep in a primary forest reserve, in Northern Guatemala. Cathal was very excited about seeing Toucan birds in the wild – he heard about them existing in Tikal more than 15 years ago! Such is his dedication to Guinness. 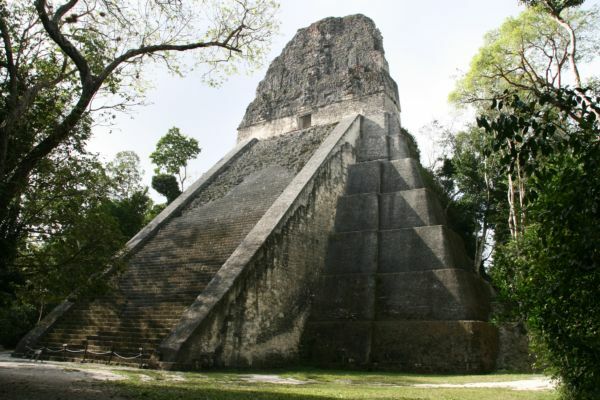 Tikal is set on a low man-raised hill above surrounding swampy jungle. The Maya settled here around 700BC, and by 200BC the first of the ceremonial buildings were erected. It thrived as a large city until around 900 A:D., when it collapsed mysteriously along with the other lowland Mayan cities. Some cite drought combined with overpopulation, others mention infighting between cities as the cause of the collapse. Theories abound, but the feeling of mystery remains, and you can feel it as you wander around the ruins. About 20% of the known buildings have been partly or fully restored, including 6 of the 7 large temple structures. The Great Plaza has been restored as fully as possible, and boasts two temples to the east and west as well as many other structures. Ascending Temple IV was a highlight – from the top of this, the tallest temple, the view of the other temples peeking out from the jungle was something. Combined with the noise of the howler monkeys, toucans and cicadas, it was a full experience. We saw archeologists at work on the Plaza of the 7 Temples- They were engaged in uncovering structures, restoring others, and sorting out shards of pottery and other remnants found inside. Cathal and I were lucky enough to stay the night – we camped out at the Jaguar Inn. An early night meant that we could get up at 5.30am to get into the park for almost first light. Well we missed sunrise but got to enjoy the early morning jungle noises and light from the top of temple IV for 45 minutes on our own. I even had a snooze! 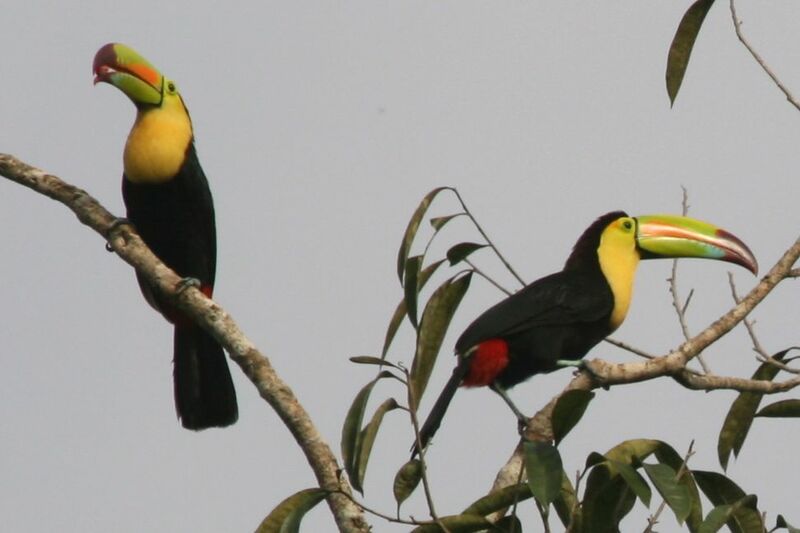 Cathal was delighted to spot no less than 6 toucans on a tree, coming and going. Very social birds. Maybe that´s why Guinness chose the Toucan as its signature bird – or maybe it was the way they fly about drunkenly!